There’s a reason why a welcome mat is placed at the front door. A door is the warm greeting as you enter the home. As the first and last impression, your front door stands for your creativity and style. 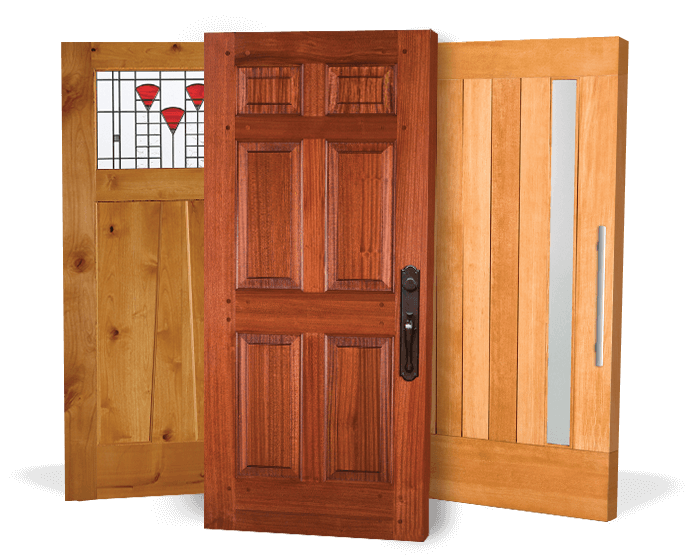 Welcome beauty and quality to your home with Simpson’s comprehensive collection of exterior doors. Will my front door be exposed to tough weather conditions? Do I want to include glass? Is privacy a concern? What type of application is it? Dutch door? Double door? Pivot? Do I want a standard design or would I like to create my own? What is my style? Traditional? Contemporary? Craftsman? Do I have a preferred wood species? Would I like my front door to match my interior doors? Simpson can provide any door, in any style or size, made from any wood and any glass. Your front door can match the others in your home, and can be built to withstand the toughest weather conditions.